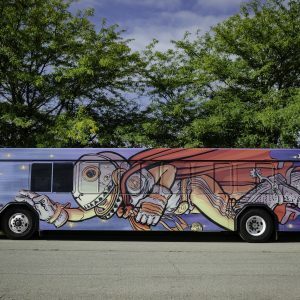 Funded by the State of Iowa, Art in State Buildings Program, and the National Endowment for the Arts, a federal agency. 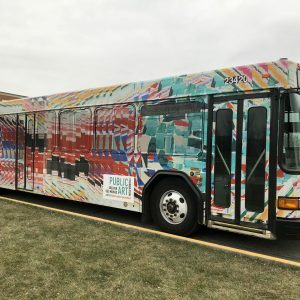 The program was coordinated by the Iowa Arts Council, a state agency. 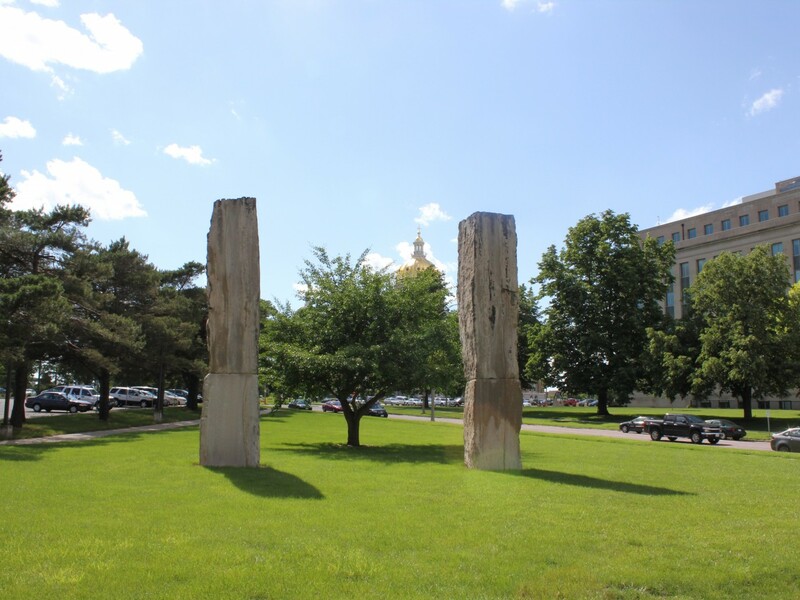 Four towering, grey limestone blocks stand on this site: two rough-cut pillars, each comprised of two stones, were erected so that their extreme edges are about 22-feet apart. The four mammoth stones are paired so that their smoothly textured (opposite) sides face east/west and their adjacent surfaces that bulge with weathered, geological accretions face north/south. 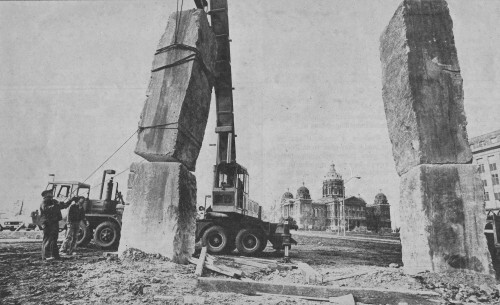 The fifth stone cube, a 16-ton block of ‘choice’ limestone in the assembly was buried six-feet underground between the two visible stone pillars. “I liked the stone a lot; my favorite stone,” mused Utterback about this enigmatic, hidden object. The spot of the elusive stone has left the once-level soil slightly settled. 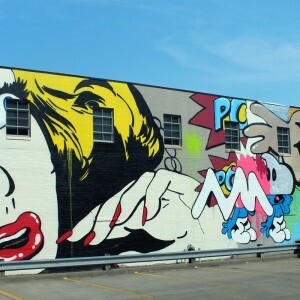 Euclidean geometry describes the space occupied by this inventive work of art, and demands true insight into the subject. 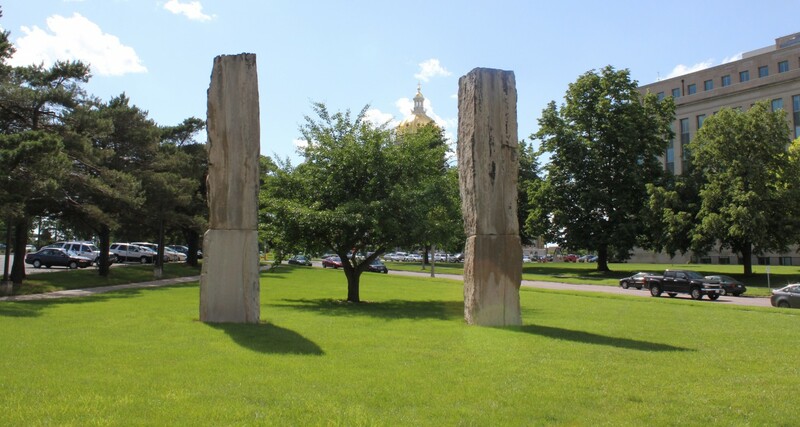 The two stone pillars and the tree are organized as points of an isosceles triangle. A ginkgo tree is positioned at the northwest point of a triangle, and charts an imaginary line that runs from the entrance of the Hoover Building to the central dome of the State Capitol building. 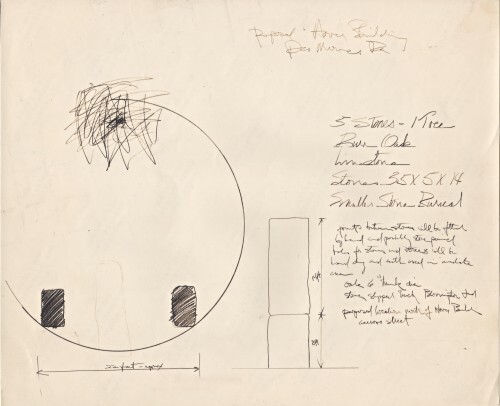 Artist proposal drawing for the Hover Building, illustrating the approximately 22-feet diameter encompassing the tree and stones. The artist’s choice of five stones was purposeful. 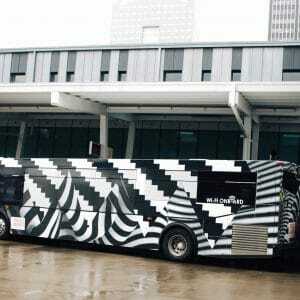 The number “5” has a deep collection of meanings in math, science, religion and culture. In mathematics, “5” is the fifth Fibonacci number — this numbering system is measurable everywhere in Nature from the reproduction of rabbits to patterns of pinecones. Its sequence of numbers mirrors the growth of every living thing, including a single cell, a grain of wheat, a hive of bees, and mankind. 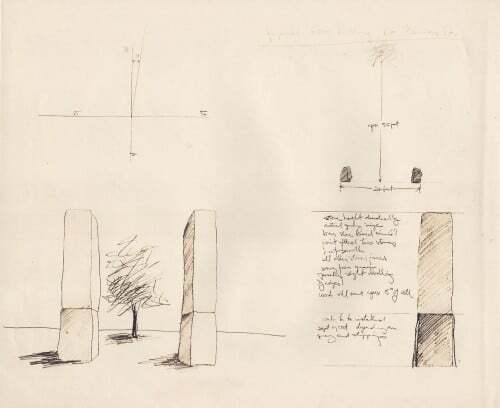 Proposal drawing with artist’s notes describing the stones’ height and proportions. His selection of limestone is evocative. This sedimentary rock of organic origin which often yields a fossil treasure trove, was the building block used for the ancient Egyptian pyramids. Limestone exists deep beneath soil throughout the midwest, and was selected from Reed Quarries in Bloomington, IN. Limestone is a major player in Iowa’s geologic history that goes back almost three billion years. Utterback directs workman as they set the last stone in place. The Japanese ginkgo tree, known for its hardiness and longevity, was planted in 1980 and completed the piece. The ginkgo is a deep-rooted, large tree that produces a rough trunk bark and spreading, knobby branches with unique, fan-shaped leaves. Called a “living fossil,” the ginkgo tree species, through fossil records, dates back millions of years to prehistoric times. The ginkgo tree symbolizes hope and peace: four gingko trees in Hiroshima, Japan survived the 1945 atomic bomb blast and continue to thrive. “Five Stones, One Tree,” a seminal work of art by the artist, aptly extracts the evolutionary cycle of growth and decay in nature – the essence of being.